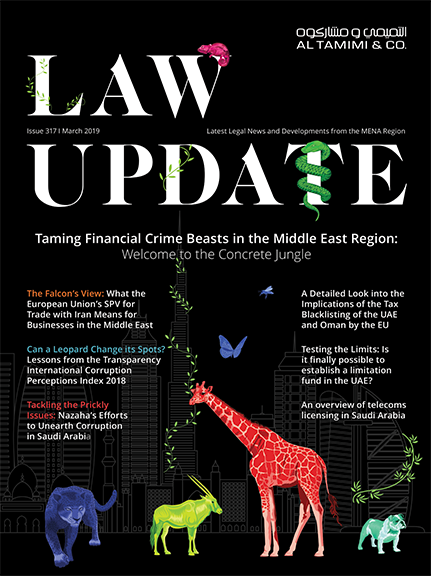 Labour/employment claims in the UAE, including the free zones (except for those in the Dubai International Financial Centre) are governed by the UAE Labour Law No. 8 of 1980 (as amended) (the “Labour Law”) and are heard before the UAE Labour Courts (the “Labour Court”). The process and timeframe for the hearing of such claims varies, depending on number of factors. Below are the main aspects to consider when dealing with labour litigation in the Labour Court, particularly within Dubai, Sharjah and Abu Dhabi. As a prerequisite, and in strict compliance with Article 6 of the Labour Law, all claimants must first file a complaint with the Ministry of Labour or the relevant free zone authority in which the claimant was employed. The Ministry/free zone authority will attempt to mediate between the parties to reach an amicable settlement on the disputed issues. In the event that no such settlement is possible, the Ministry/free zone authority is obliged to issue a ‘transfer letter’ to allow the matter to be filed and heard before the Labour Court. The claimant then has 6 months from the date of the ‘transfer letter’ to proceed with filing the claim with the Labour Court. The proceedings are conducted entirely in Arabic. Therefore, all documents submitted to support the claim or defence must be translated into Arabic by a translator approved by the Ministry of Justice. Only lawyers who are UAE nationals (and a few other Arab nationalities) have rights of audience before the Labour Courts. However, parties (of any nationality, provided that they can liaise with the court in Arabic) may act in person should they wish, but this is limited to proceedings within the Court of First Instance. Should a party engage legal representatives, a power of attorney is required and will need to be filed with the Labour Court as soon as possible (and in any event before any submissions by the legal representatives can be filed with the Labour Court). The Labour Court will progress the claim through a series of appointments at which the parties’ written submissions are submitted and future hearing dates are fixed. The period of time between each hearing is an adjournment, during which one or both parties are usually required to prepare submissions or arrange for the translation of documents to be submitted. Submissions by both parties are made via written memoranda, akin to a pleading. The claimant initially submits their memorandum of the claim, and the defendant thereafter submits their memorandum of the defence in reply. Each party is then entitled to submit further memoranda in response to the other party’s prior memoranda and submitted documents. This exchange will continue until such time as the Labour Court is satisfied that all heads of claim have been sufficiently deliberated upon and a determination can be made. The claim will then be reserved for judgment. In our experience and dependent upon the quantum of the claim, the Labour Court may also suggest that the parties settle the case at an earlier stage. This helps in filtering the court system claims of limited value and dispute, as well as providing the parties another opportunity to resolve the matter without further protraction. The Labour Court (in common with the other Civil Courts in the UAE) will generally only accept written documentary evidence in support of a party’s memorandum. They do not accept written witness evidence in support of a party’s claim or defence. Where a party is unable to prove or defend a particular point, that party may request the judge to hear oral testimony from a witness. A judge has the absolute discretion to call a witness and where this discretion is exercised, only the judge may examine the witness and can ask any questions he deems appropriate. There is no right by either party to examine or cross examine the witness. There is no duty of full disclosure in the Labour Courts. Documents not supporting a party’s position need not be disclosed, unless the other party is aware of the existence of a specific document and makes an application to the Labour Courts for specific disclosure. If the Labour Court considers that an issue is complicated or requires detailed review (for example, the calculation of an annual bonus, pension rights, commissions etc), it may appoint an expert to investigate that particular aspect of a claim. The expert is chosen from a panel maintained by the Labour Courts and is provided with a remit and scope of instructions for the required investigation. The expert has wide investigative powers and can request documents and interview witnesses, as well as attend the employer’s offices to review any personnel files and documents relating to the claim. The expert prepares and submits a report of his findings. Both parties have the opportunity to comment on the report filed. However in most cases, the Labour Courts will adopt the expert’s conclusions in its judgment. Each party is responsible for their own legal costs and disbursements, which are not recoverable by a winning party, with the exception of a small nominal amount awarded towards legal costs awarded to the winning party at the final hearing. A respondent employer is required to pay the Labour Court’s fees irrespective of the outcome of any claim, as the claimant employees are excused by Article 5 of the Labour Law from paying such fees. Expert’s fees are also usually paid by the claimant, although the Labour Courts may require the parties to pay these fees jointly. Labour Court fees are between 5% and 7% of the total judgment award, subject to a minimum amount that depends on which court the claim has been brought before. Interest may also be awarded on any judgment amount, at the Labour Court’s discretion, and this can vary between 9% and 12%. A brief verbal summary of the judgment will be provided first, and the detailed written judgment is provided thereafter at a later date. This Court of First Instance judgment can be appealed by either party (within 30 days from the date of the oral summary of the judgment) to the Court of Appeal. The parties may further appeal the Court of Appeal decision to the Court of Cassation/Supreme Court within 60 days of the oral summary judgment. The judgment provided by the Cassation Court/Supreme Court will be considered as the final binding judgment on the matter. As a civil law jurisdiction, proceedings in the Labour Courts are heavily reliant on written submissions with minimal oral evidence. Accordingly, it is imperative that documentary evidence is collated and assessed carefully from the outset to be certain that a party’s account of the matter is fully evident and supported. A unique feature of the Labour Courts is that each party has the ability to amend and adapt their position as the claim progresses. A party is not bound by a previous position adopted in preceding memoranda provided that evidence can be submitted to support the position taken.